We use the highest quality flavoring ingredients. top quality lab tested 99% CBD crystal isolate infused. infused with 10mg of melatonin for extra relaxation. 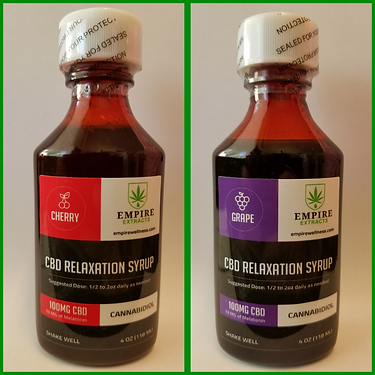 Get all the benefits of CBD in one tasty drink enhance your favorite beverage with Empire Wellness CBD syrup. Our Syrup can be mixed into any Soda, Water (Sparkling or Flat), Tea, or any other liquid.